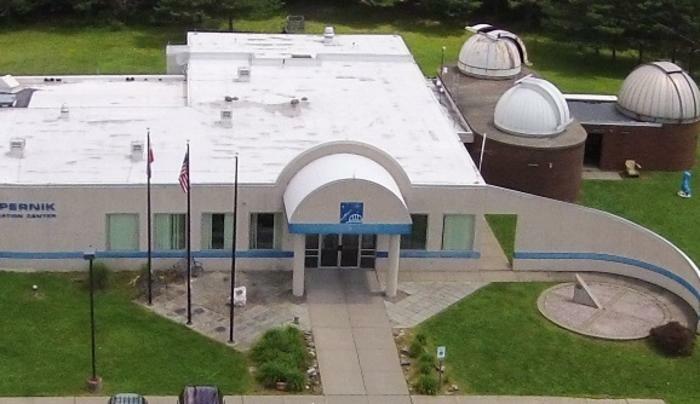 The Kopernik Observatory & Science Center opened in 1974, built by the Kopernik Society of Broome County to commemorate the 500th anniversary of the birth of Mikolaj Kopernik, the man known to the world as Copernicus – the “father” of modern astronomy. Since that time, hundreds of thousands of children and adults have experienced the wonders of science through the Observatory’s programs. Located atop a 1720 foot hill in Vestal, NY, 13 miles southwest of Binghamton, the Observatory has been one of the best-sited and best equipped public observatories in the Northeast United States for nearly 40 years. The Kopernik Observatory & Science Center is the first science laboratory facility in New York State designed for K-12 teachers, students and their families. Its mission is to offer hands-on investigations using advanced telescopes, computers and other tools, encouraging the discovery of the wonders of the Universe. The Observatory is also the home of the Kopernik Astronomical Society (KAS), a group of dedicated observational astronomers. Visitors to the Observatory often will find KAS volunteers helping at Kopernik programs.